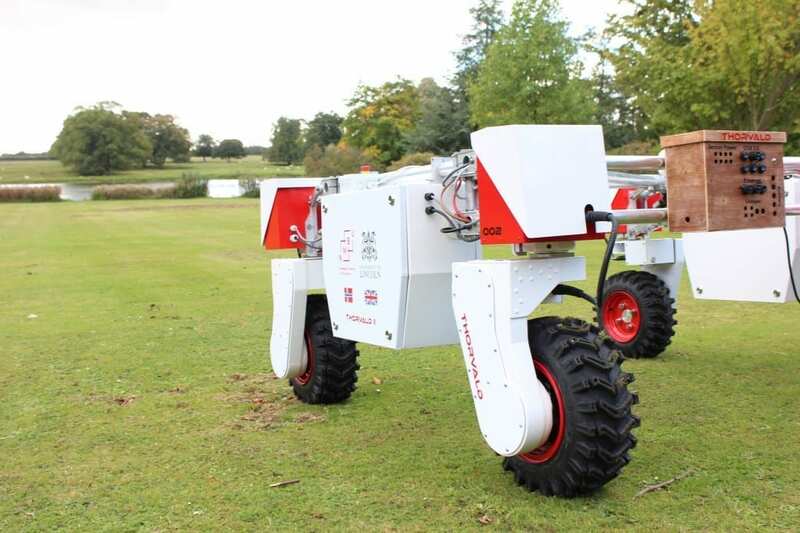 The University of Lincoln has been added to a growing national network of the UK’s leading robotics research centres. The Lincoln Centre for Autonomous Systems Research has joined the UK Robotics and Autonomous Systems Network (UK-RAS Network). The network was established in 2015 by the UK’s Engineering and Physical Sciences Research Council to provide academic leadership in Robotics and Autonomous Systems (RAS), expand collaboration with industry and integrate and coordinate activities between research centres. The UK Government has identified robotics and autonomous systems as a priority area which can help drive international competitiveness, productivity and economic growth. The UK-RAS Network organises a wide range of activities including UK Robotics Week, networking events, focused workshops, public engagement and exhibitions. Other network member universities include Imperial College London, the University of Oxford and the University of Manchester. The Lincoln Centre for Autonomous Systems (L-CAS) is based in the School of Computer Science at the University of Lincoln. Its researchers participate in a range of collaborative research projects with other academic and industry partners. The centre specialises in technologies for perception, learning, decision-making, control and interaction in autonomous systems, especially mobile robots and robotic manipulators, and the integration of these capabilities in sectors such as agri-food, healthcare, intelligent transportation and logistics. Major L-CAS research projects include ENRICHME, which is developing next-generation mobile service robots to help elderly people to stay independent and active for longer, and ILIAD, which will introduce fleets of autonomous ‘self-optimising’ forklift trucks which can operate safely and efficiently in warehouses alongside human co-workers. The centre also contributes to the inter-disciplinary research of the Lincoln Institute for Agri-food Technology and the Lincoln Institute for Health. Research facilities include dedicated robotics research labs in the University’s new Isaac Newton Building, a demonstration farm at the Riseholme Campus, and an experimental food factory at the National Centre for Food Manufacturing in Holbeach. Teams also have access to a fleet of diverse mobile and social robots, advanced compliant robotic manipulators, a swarm of micro robots, and state-of-the-art agricultural robots, including the Thorvald platform.